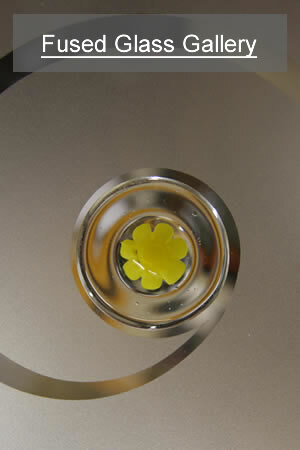 Historically fused glass has been very expensive due to manufacturing techniques but our new range of fused glass tiles offers a luxury product, manufactured using traditional techniques for a fraction of the cost normally associated with this style of decorative art glass. Combining Fused Glass tiles with an etched glass background is one of the most effective combinations for fused glass and it is one of the more popular requests that we receive. This type of decorative glass is created by slowly heating the pieces of cut glass in a kiln until they fuse together, creating one piece of glass. 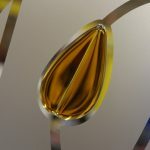 To fuse glass successfully it is essential that the pieces of glass used are “tested compatible” for fusing otherwise the glass can become brittle and liable to break. 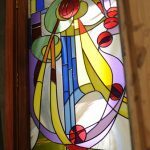 For this reason Leadbitter Glass only uses the best materials from around the UK and the world. 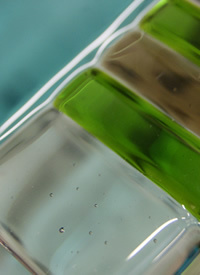 Fused glass tiles are very versatile and they can be integrated within most decorative glass styles and applications. Our large gallery already features many designs for doors and you can view these by clicking the black door and then select your door style. Whilst browsing you can change the colour of each door to suit your specific door colour and this is a great way of getting a true feel to how your Fused glass panels will look ‘in the flesh’. 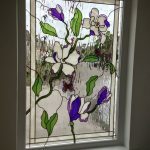 As with all products supplied by Leadbitter Glass, we can also create Fused glass door, window and fanlight designs from your own specific ideas/drawings. 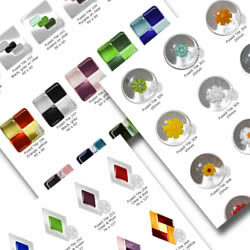 Browse over 150 Exclusive Fused Glass tiles! We probably have the largest range of glass tiles available anywhere in the world and you can view many of the tiles in our dedicated Fused Gallery. Personalise your own glass design for your doors or windows by selecting individual tiles form our ‘Exclusive’ range of glass tiles. 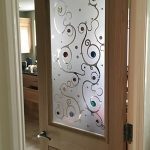 All of the tiles can be incorporated into many of our standard designs or you can even design your own decorative glass layout for your window or door. 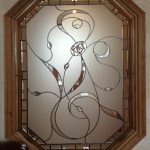 Just send us your drawing via email and we will be happy to calculate a price for you new glass panels. One of the best things about the Leadbitter Glass Studio is our self sufficient studio and we actually create all of our fused tiles here in the UK. If you like the style of a specific tile but would like to change the ‘blue’ to a ‘green’ – no problem! we allow customers to change tile colours at no extra cost. We can even make all tiles in many different sizes.